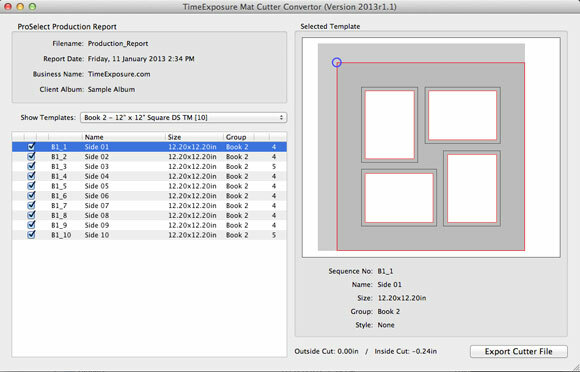 If you have customers using ProSelect, you can now precisely cut mats for any layouts or book page created in ProSelect including mats that can be directly overlayed over a composite print without the need to manual re-enter this information. Double-spread mats can be automatically split into left and right halves (if practical!). Preview of the mat data and the cut lines is shown to allow visual checking of each mat before conversion. The current release of the Mat Cutter Convertor supports the generation of AutoLoad files suitable for Gunnar mat cutting machines (including tilted openings). 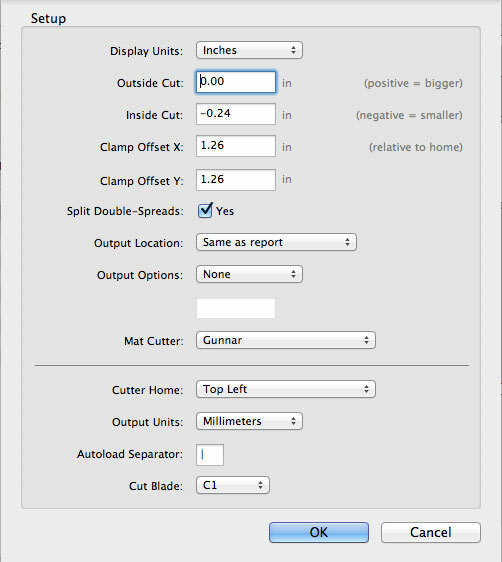 If you are using a different type of cutter, please contact us with details and we will be happy to see if we can add support to your machine to the software. For more information and pricing, please submit a Support Ticket to our Sales department. * ProSelect users need to be using ProSelect version 2012r2 or newer in order to produce production reports that are compatible with the software.